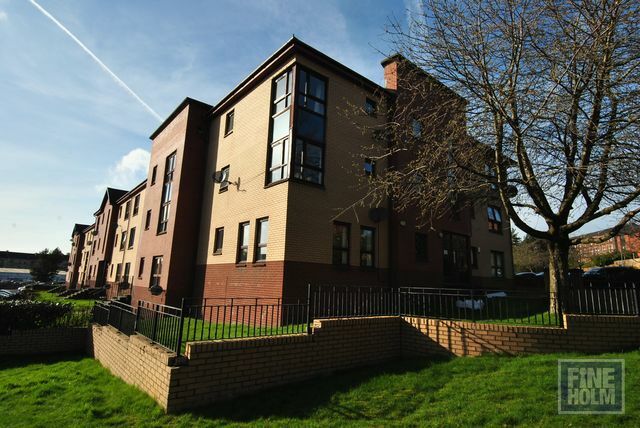 Very convenient and spacious modern 2 bedroom first floor flat in popular residential development in St Georges Cross. This flat offers great accommodation with the benefits of residents parking, secure entry and within easy walk of the city centre and popular West end. It is furnished and feels bright and airy throughout. The flat comprises of entrance hallway, large storage cupboards, spacious and bright living room with dining area, double aspect windows make it very light. Well appointed modern kitchen with appliances, cooker, fridgefreezer and washing machine. The master double bedroom has fitted wardrobes and the second double bedroom again with fitted wardrobes and finally a three piece family bathroom with shower over bath. Further benfits include gas central heating, double glazing and well maintained communal hallway. Council Tax C.
Excellent transport links and very close walking distance to St Georges Cross subway station. This is a fantastic flat for professional or a couple looking to be close to West end and the city alike!